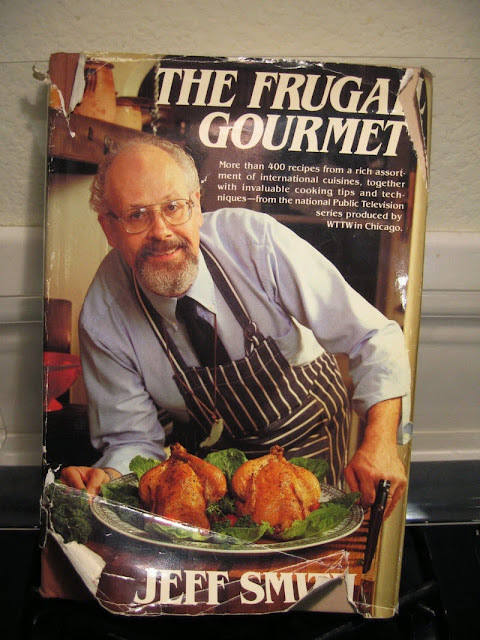 Before a scandal derailed him as a TV chef and cookbook author, I really loved Jeff Smith's show and line of books under his "Frugal Gourmet" title. I always loved the oxymoronic title... How could a "gourmet" be "frugal?" Mind, blown! I come not to remember a foodie, but to address some concerns raised by my internet friend Laura Click in a recent blog post. I mention Jeff Smith because Laura goes after "cheap" social media marketing agencies. I work with start ups and small businesses and see how troublesome marketing dollars are for them in general and specifically when we get into the wild west of social media. I want small business owners to get into a frugal mindset... if you REALLY don't have the money for a marketing budget, especially as a startup, then you need to think FRUGALLY. 1. Find someone who will give you the tips and tricks without the cost. There are plenty of people who will take a look a your business and give you a quickie consult that could be worth plenty of time and money for you. 2. Look at what your competitors are doing... try it. Small at first. Figure out if it is worth your time. Experiment in their sandbox and innovate with other ideas. 3. Use the cheap tools: hootsuite, bufferapp, Gmail as a CRM. All basic ideas that won't cost you a dime to experiment with online marketing efforts. 4. Try the paid advertising online! Google, Bing, Yahoo, Facebook all offer free credits towards their service. To make it worth your while might take some coaching, but see tip #1. 5. Take Laura's list and do it... don't hire for help. Bring in a consult if need be, but don't become attached to one agency, person etc. (this avoids the going of business problem). If you are Frugal and thinking along a DIY way... you might be able to make it work, if nothing else, you will know more about what you need to focus on when you do need to hire outside help. Remember just because you do something frugally doesn't mean it's cheap and doesn't mean it isn't worth doing.